Okay so I managed to squeeze THT in between getting my boys from school! :) Sorry again I am a tad behind today. Thank you to all who take the time out to come on over and party! Fabiana over at Ciao! Newport Beach shared her friends gorgeous french country kitchen! Oh I wish I had some wood beams in our home! 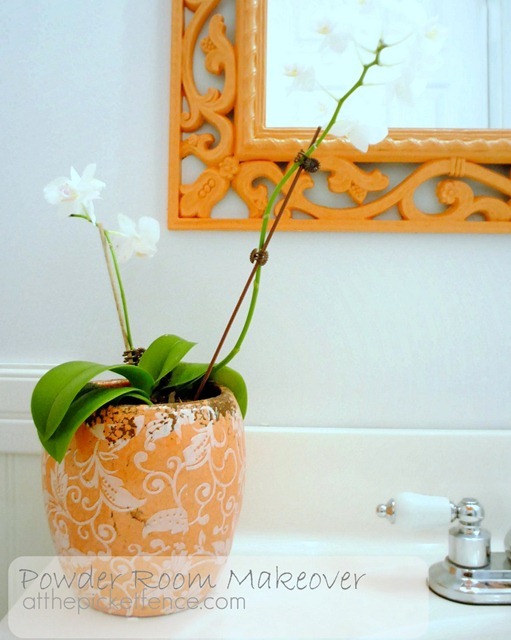 Dear Heather who we all know from At The Picket Fence shared her charming bathroom redo. I just love the color combo she used! 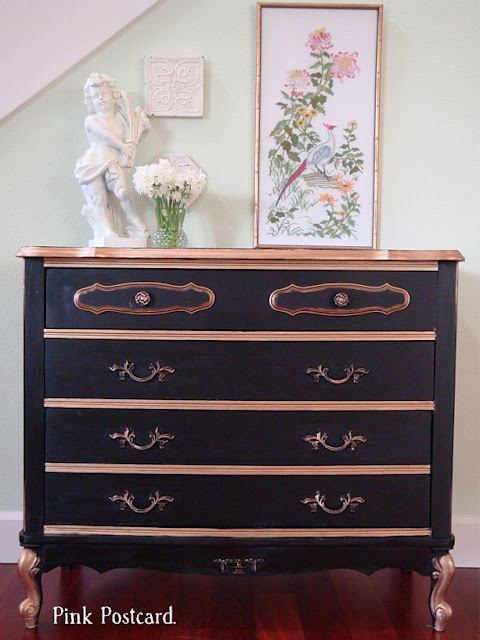 Denise over at Pink Postcard shared her amazing Napoleon dresser she made over! Swoon! Those features are beautiful! Thanks for hosting! sounds like you have lots going on. school will be out soon - oh wait, that may just make you even busier!!! I love Heather's bathroom - that orange ceiling is fantastic!! Thanks so much for hosting! Now off to check out a few of the other links. Thanks for the party Pamela! Have a fabulous weekend! hey there! i am your newest GFC follower! thank you so much for hosting such a fun party! Thanks for hosting. Enjoyed the features you picked. Thanks for hosting. My rhodos have taken centre stage this spring as I made new garden spots for my expanding collection. Hey, Pamela! So glad to be partying with you! Thanks! Thanks for hosting Pamela. It's always fun to be here! 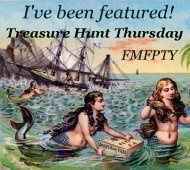 I am new to your blog, actually your newest follower, lol! Thank you for hosting. I am enjoying touring and reading! I invite you to "theredeemedgardener". Hey, Pamela. Thanks for hosting another great party!